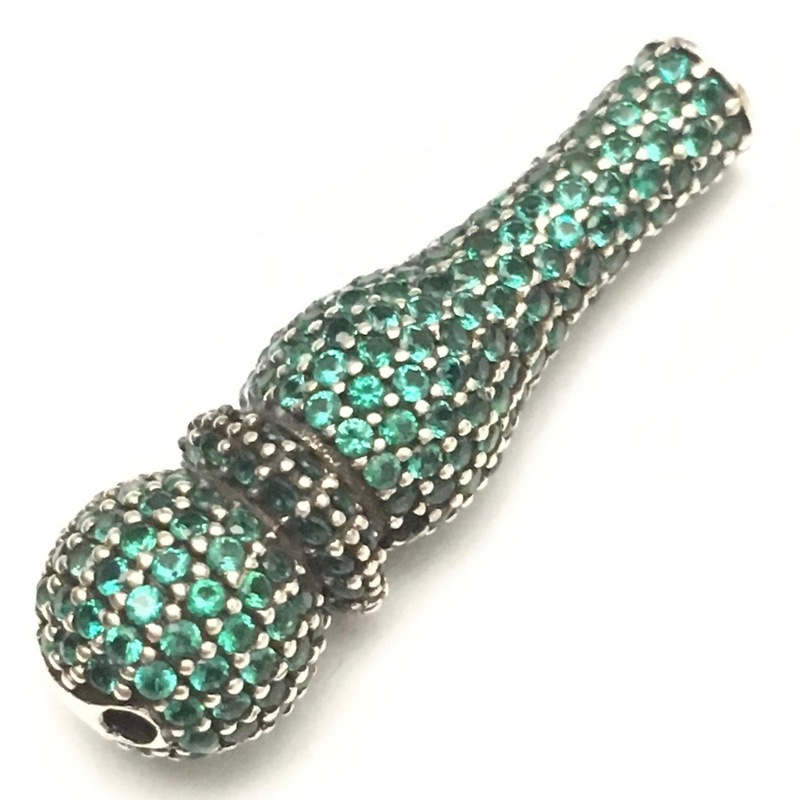 Technique: all surfaces studded with cubic zirconia beads in emerald colour. Two holes at bottom, one hole at the top. Suitable for beads 6 mm or larger.